Saudi Arabia has ambitious plans to improve energy efficiency and reduce reliance on hydrocarbons for power generation. These plans offer abundant opportunities for U.S. companies to export American technologies, products, and services. While Saudi Arabia possesses one-fifth of global oil reserves, it meets almost 60% of its domestic power needs from petroleum. The eight to nine percent annual growth in domestic electricity demand – and thus domestic petroleum consumption – cuts deeply into exports. The Saudi Government heavily subsidizes domestically-used oil, which causes not only reduced export income, but also has enormous opportunity costs as there is less feedstock for development of downstream petrochemical industries and the jobs that go with them. Saudi Arabia hopes to reduce by half the crude oil and natural gas it burns now to generate electricity, in part by developing solar power capacity, an area where it has clear climatological advantages. As part of its plan for reducing fossil fuel dependence, the Saudi Government aims to install 5 GW of solar power by 2020. As Saudi Arabia expands its energy supply and integrates renewable energy, further investment will be required in grid modernization and smart grid technologies that enable utility management of variable energy sources. Firms participating in the trade mission will gain market insight, make industry contacts, solidify business strategies, and identify or advance specific projects, helping U.S. firms benefit from this growing market for their products as Saudi Arabia ramps up investment in the clean energy and energy efficiency sectors. Both residential and industrial sectors contribute to increased electrical demand in Saudi Arabia. Residential air conditioning consumes more than 50% of total power during Saudi Arabia’s long, hot summers. Saudi Arabia plans to construct 1.65 million new homes over the next six years and will be looking closely at products, materials and technologies that reduce energy use and increase efficiency. Saudi Arabia also relies on desalination plants to produce 70% of its potable water, using as much as 1.5 million barrels per day of oil equivalent to do so; Saudi Arabia hopes to start up its first solar-powered desalination plant in 2013. 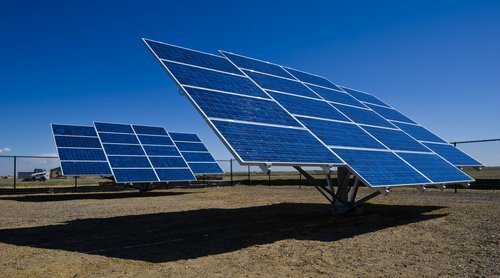 This mission will target a variety of sectors that could reduce the impact of residential and industrial electricity demand, including solar power generation components and systems; smart grid systems, software and services; green building design/engineering, materials and technologies; and energy efficiency systems and solutions. The mission will begin in Riyadh and will include site visits and consultations in Dhahran (Eastern Province), including the King Abdullah City of Atomic and Renewable Energy, the Saudi Electricity Company and Saudi Aramco. The cost to participate in the trade mission ranges from $3,020 to $3,502 per company for one representative, depending on firm size. There is a $500 fee for an additional company participant. Expenses for travel, lodging, most meals and incidentals will be the responsibility of each mission participant. Applications will be accepted on a rolling basis through March 1, 2012. Space is limited. For more information about the trade mission, visit the mission web site or contact Jen Derstine of Manufacturing and Services, tel. : (202) 482-3889; e-mail: jennifer.derstine@trade.gov, or James Fluker of the U.S. & Foreign Commercial Service, tel. : +966 (1) 488-3800; e-mail: james.fluker@trade.gov.